U.S. smartwatch sales experienced strong growth in the 12 months ending November 2018 compared to the same timeframe a year prior, according to The NPD Group’s new Smartwatch Total Market Report. Dollar sales of smartwatches in the U.S. were up 51 percent, totaling nearly $5 billion in sales, while unit sales saw a 61 percent increase. 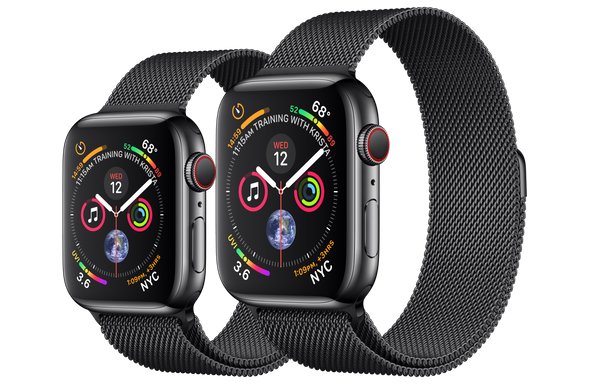 While Apple is the clear market leader, the new Smartwatch Total Market Report reveals that the top three brands (Apple, Samsung, and Fitbit) made up 88 percent of smartwatch unit sales during the timeframe. However, traditional watch manufacturers, like Fossil, and fitness-focused brands, like Garmin, are working to grow their share of the market, as they continue to expand into the smartwatch category. 16% of U.S. adults now own a smartwatch, which is up from 12 percent in December of 2017, based on NPD’s Consumers and Wearables Report. The younger 18-34 age demographic is currently carrying the overall growth in the smartwatch market with 23 percent penetration. However, as newer health focused devices such as the Apple Watch Series 4 continue to take hold in the next year, expect to see a big boost in penetration among older segments. Beyond health and fitness tracking, evolving use cases will help bolster the segment. For example, 15 percent of smartwatch owners now claim to use their devices to control home automation devices. Source: The NPD Group, Inc.
MacDailyNews Take: You have to be a real glutton for punishment to choose a non-Apple Watch stupidwatch. We pity the masochistic bastages who strap those POS Apple Watch wannabes, also-rans, and roadkill to their wrists, however few there may be. *Over one year, a $500 Apple Watch costs $1.37 per day. A $250 watch costs $0.69 per day. That’s a difference of 68-cents per day. If you can’t afford 68-cents a day, you can’t afford a smartwatch. An Apple Watch gives you a helluva lot more features and value, including resale value, than 68-cents a day. Apple totally rules a meaningless market. Any other stats to report this morning MDN. First time I heard of billions as being meaningless. Then again, smartwatches are an accessory. Strictly a niche market. For Apple’s competitors, Apple’s slice is a pretty HUGE niche (one bound to continue GROWING for the foreseeable future). Mostly meaningless as far as Wall Street is concerned. The smartwatch market amounts to almost nothing compared to the smartphone (iPhone) market and what’s worse, an AppleWatch requires an iPhone to be of any use. You should realize by now that any product or service Apple offers is going to be directly compared to iPhone revenue. Analysts debate this point every single day. So far, an AppleWatch is not a ‘must have’ product and likely never will be. In the end, Apple will lose market share percentage to cheaper Android smartwatches because far more consumers have Android smartphones. MDN assumes you will buy a new watch every single year. Hence the real daily cost is even less than $1.37 or whatever. Who’s going to buy an Apple Watch every year? The new ones start at $500 with Apple Care. I’m still on version 2. Maybe not every year but 3 yrs? It’s wearable and also disposable. That’s why I do not understand gold Apple watches or those with Hermes leather band etc (close to $2,000? Insane and unreal! What are they thinking!!). Also, I suppose the watch is easier to design/make and I am sure there are many currently working to surpass Apple. This is another thing I do not understand. Why does Apple think (if they do) they conquered and owned this market? Too premature to get carried away. It’s a good product for many creative uses and the market has potential. But it would be natural to think that Apple is not the only one to cultivate this potential (although they were the first one when Jobs created the iWatch idea but left us so prematurely). Years of copycats will follow. I would not suppose the watch is easier to design. There is very little real estate to deal with so everything must be really well thought out. Everything centers around power consumption. High quality, high performance, low drain CPUs are not easy and Apple has a big lead here.